Window World is the original low cost high quality window provider in the United States. We are the only window company that has achieved the Good Housekeeping Seal of approval and ranked #1 by J. D. Power. NGA Window & Door Inc.
NGA Window & Door is your replacement window, door & glass specialist. 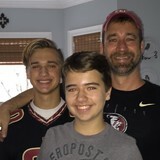 The owner has been in the business over a decade and prides himself in honest affordable work. 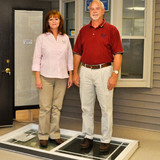 NGA Window & Door is a family owned and operated company designed specifically around our customers' needs. We are fully licensed, insured and bonded to protect you and your #1 investment. We want you to make an educated decision in purchasing new replacement or upgraded products for your home. 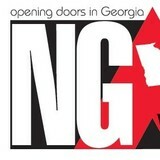 NGA Window & Door guarantees the work we perform. We carry the best products with your safety and satisfaction in mind. NGA Window & Door offers a full selection and service of vinyl windows, entry doors, garage doors and replacement glass. Whether you’re building a new Pendleton home, remodeling an old one or just replacing a few windows that are past their prime, your window dealer in Pendleton, SC will help you pick the right windows for your needs, home style and budget. Windows come in so many sizes and types that expert advice and direction is invaluable in helping you make the best decision. These pros can also help you with custom window designs that complement your space better than something ready-made. Lastly, if you are interested in doors with windows, these experts are also knowledgeable about sliding doors, French doors and other paned portals. 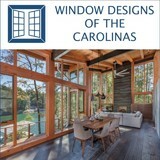 Your window pro might work closely with other South Carolina builders and remodelers as well. Here are some related professionals and vendors to complement the work of window sales & installation: Window Treatments, General Contractors, Home Builders, Specialty Contractors, Siding & Exteriors. Find a window dealer on Houzz. 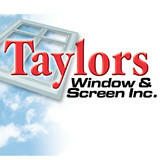 Narrow your search in the Professionals section of the website to Pendleton, SC window dealers. You can also look through Pendleton, SC photos to find examples of windows that you like, then contact the window professional who worked on them.